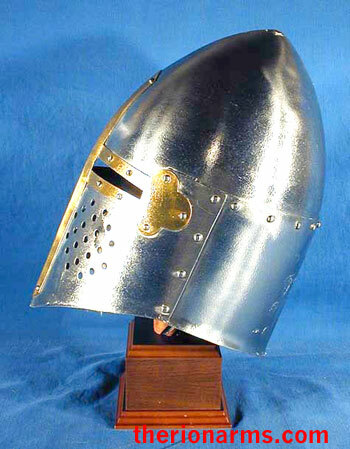 We be kickin' it olde skoole here - a Museum Replicas sugarloaf great helm, discontinued in 2005. I have one that's been boxed and on a shelf since then. 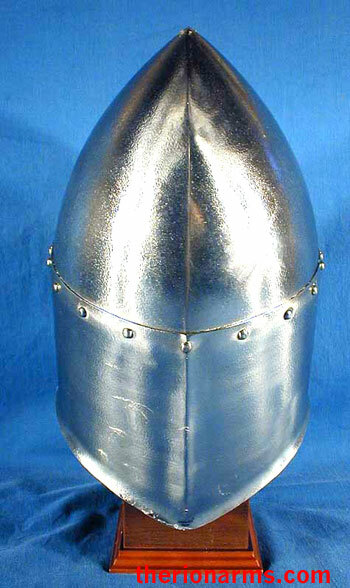 Nice satin polished steel, these helmets (and most MRL helmets back in the day) came with a funky latex coating to protect the polish - said coating is/was easily removed by peeling/rubbing it off with your thumb and/or a shop towel. This helmet still has the protective coating, and is nice and shiny (and unused/unworn). 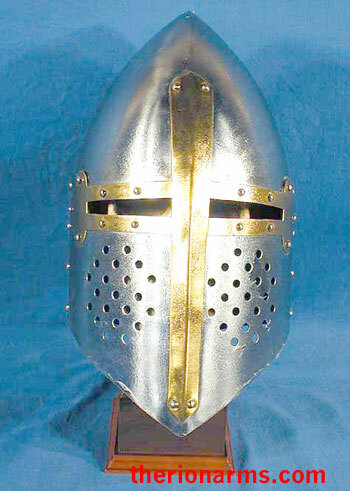 Circa 1250 - The high rounded shape of the sugarloaf great helm caused sword blows to glance off the top, so that the knight had to absorb less of the force of the blow. This was a distinct improvement over the flat topped great helms of earlier days. 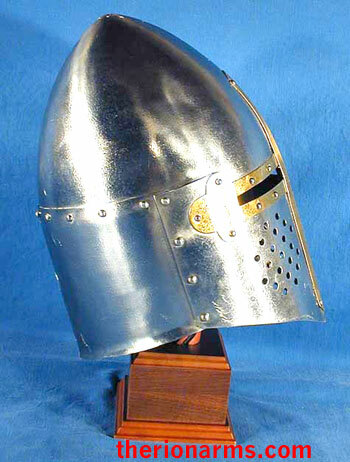 This style was the principal helm for the armored knight for many years. 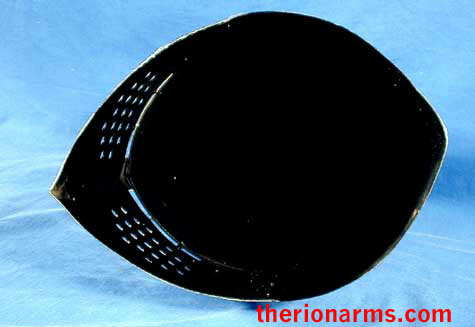 Hand made from 18 gauge steel with brass trim.